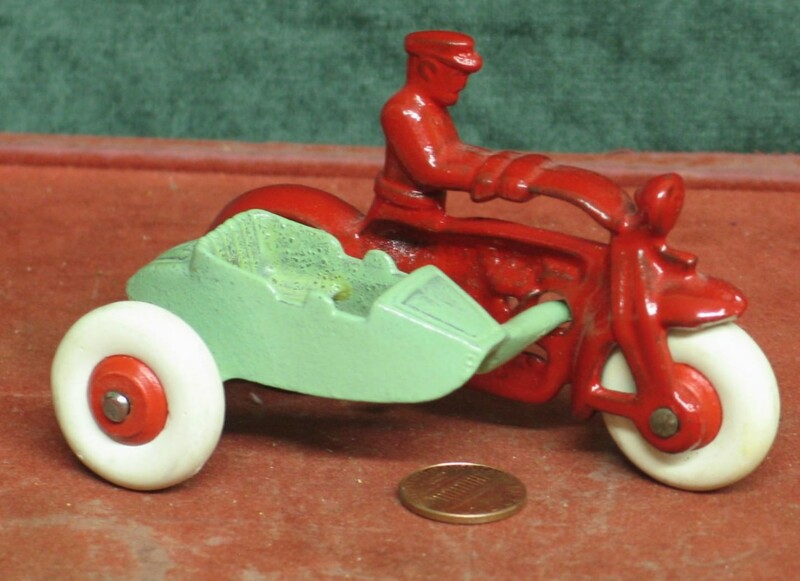 The Hubley Manufacturing Company was incorporated in the early 1890s by John Hubley in Lancaster, Pennsylvania, and produced wonderful toys throughout its history. 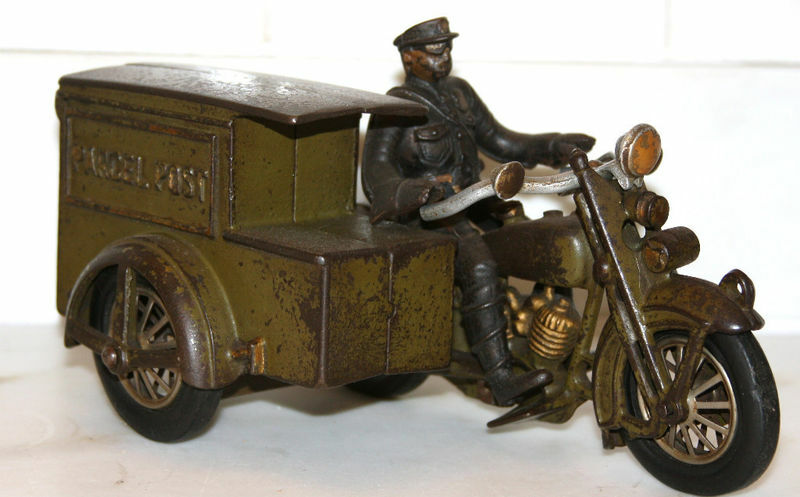 Early Hubley production consisted of numerous cast iron toys including various horse drawn vehicles, guns, household appliances, and more. 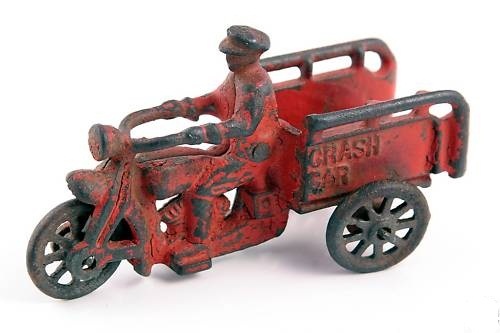 With the automotive age, cars, trucks, and other transportation became their focus. 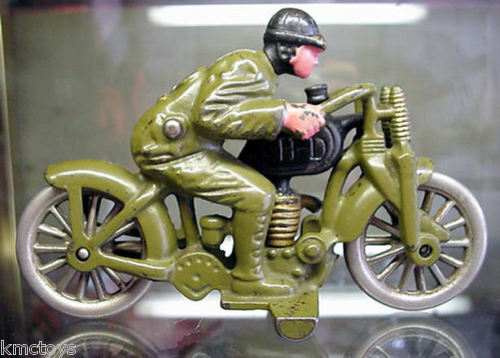 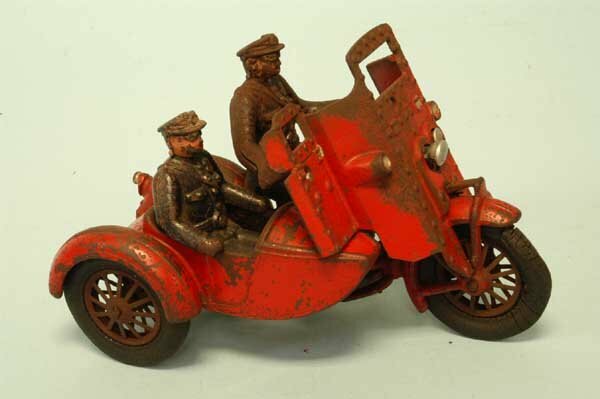 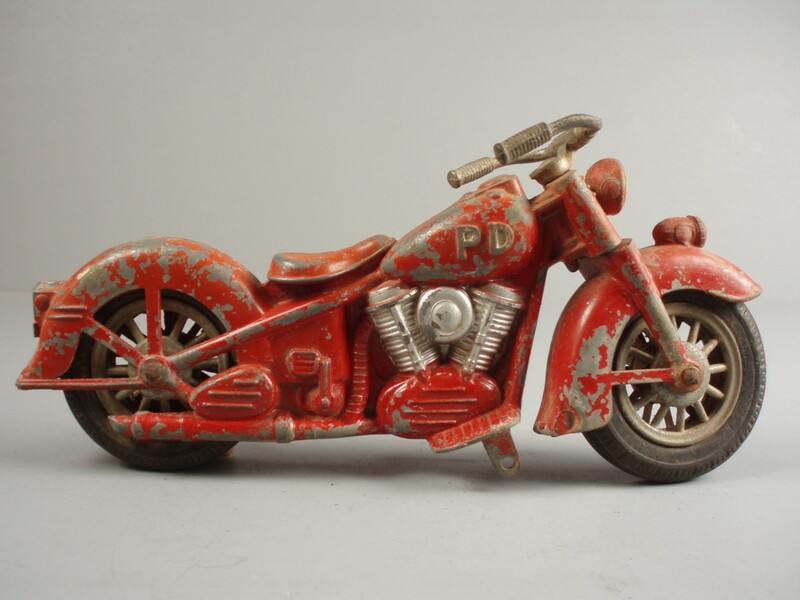 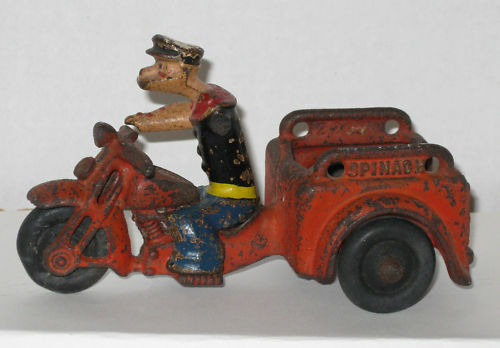 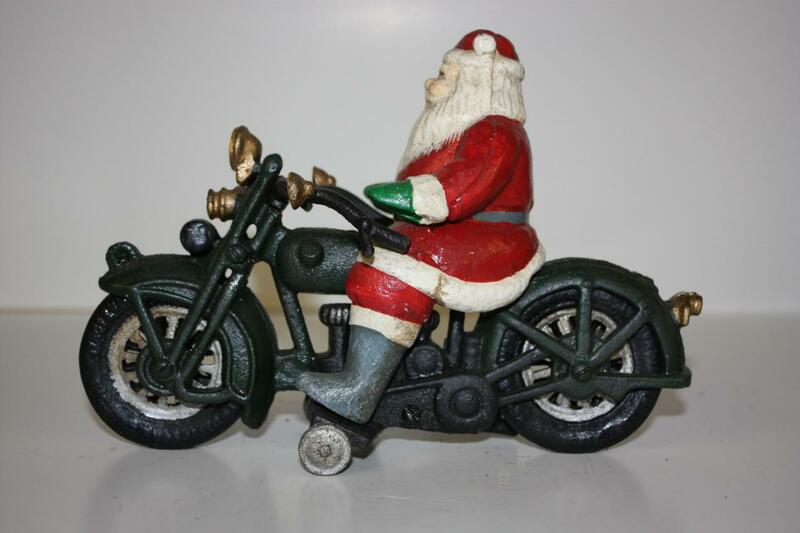 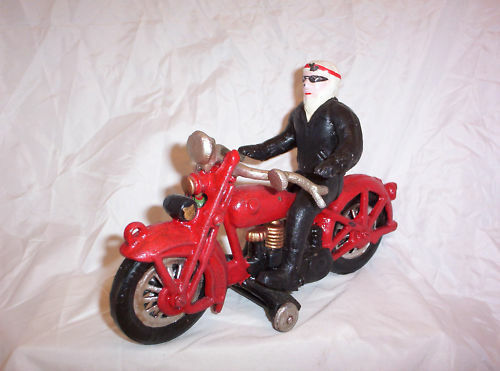 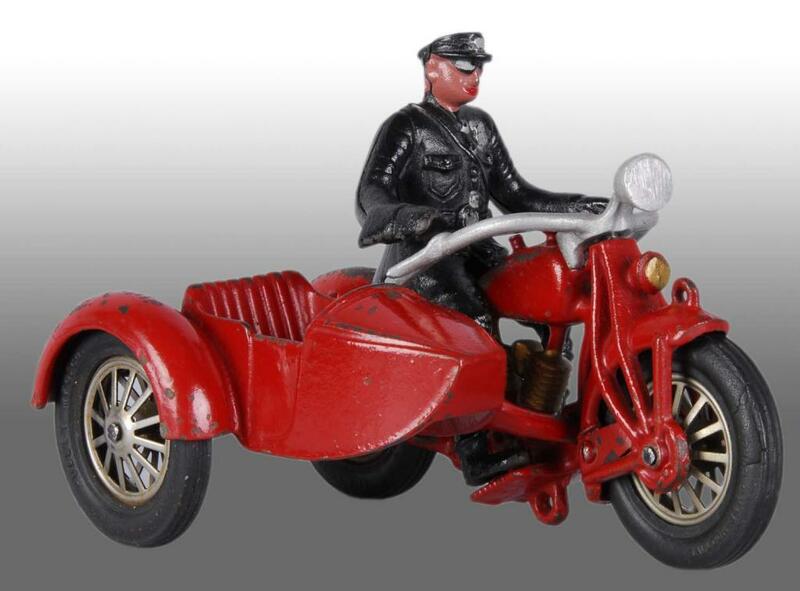 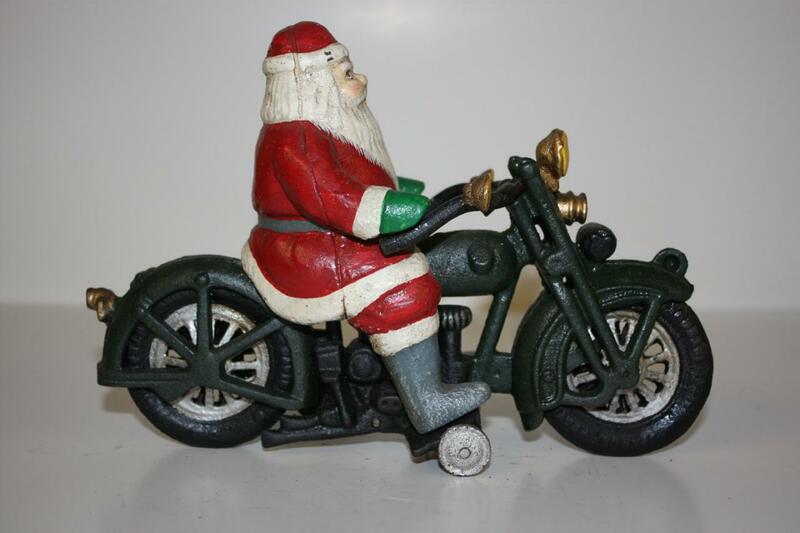 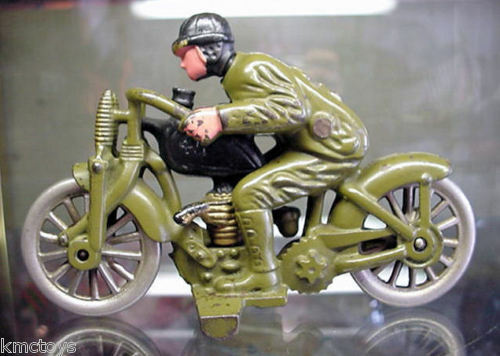 Early Hubley toys were cast iron, but after World War II the company switched to a die-cast zinc alloy. 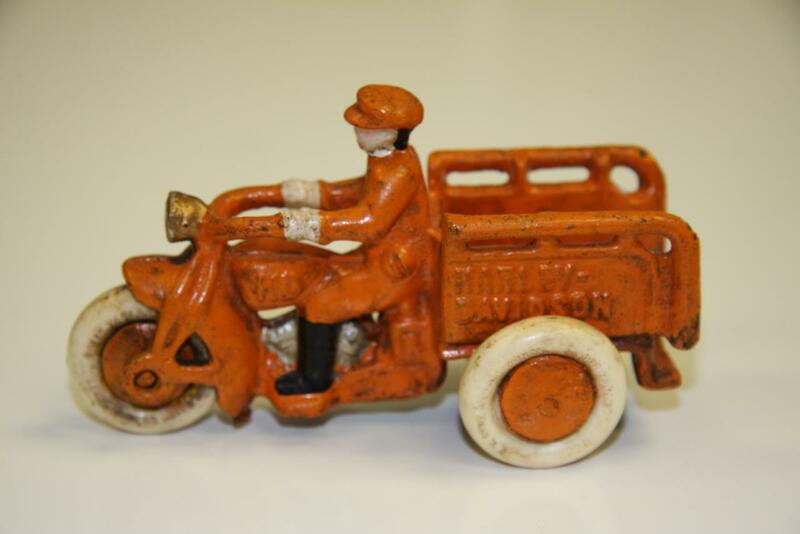 The trade name Kiddie Toys was used from 1946 through 1958. 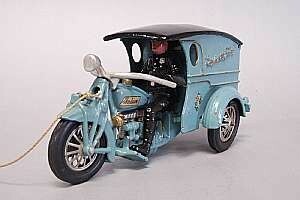 In 1965, Hubley was sold to Gabriel Industries. 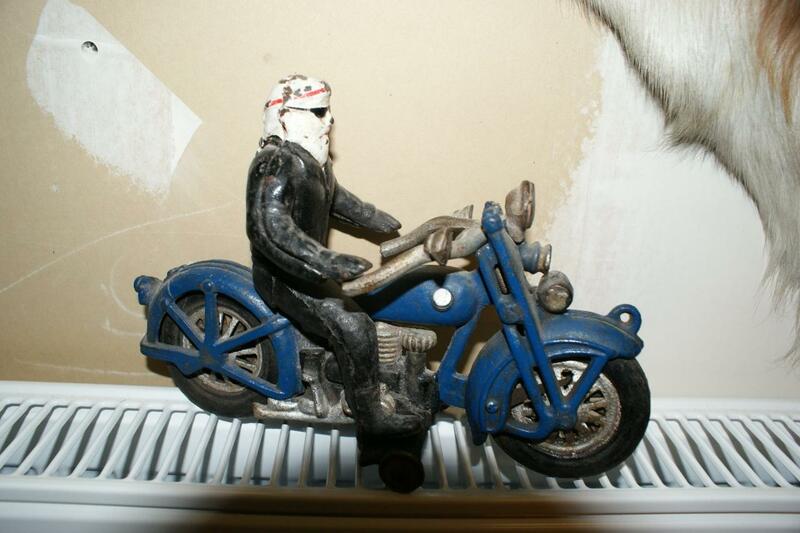 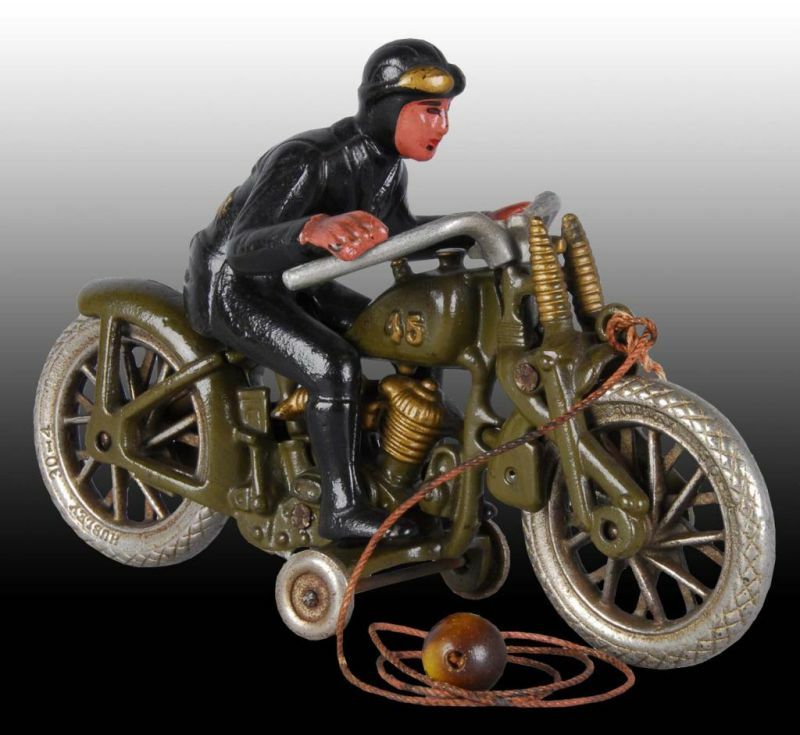 Jouets anciens en fonte ..
Sur les grands modèles , le pilote n'est pas solidaire de la moto. 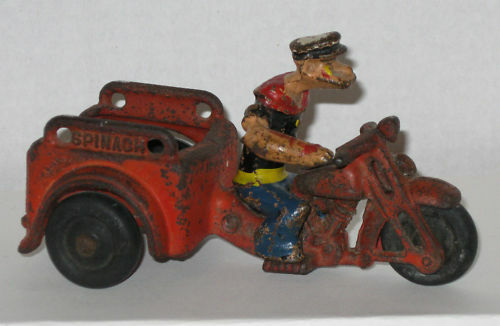 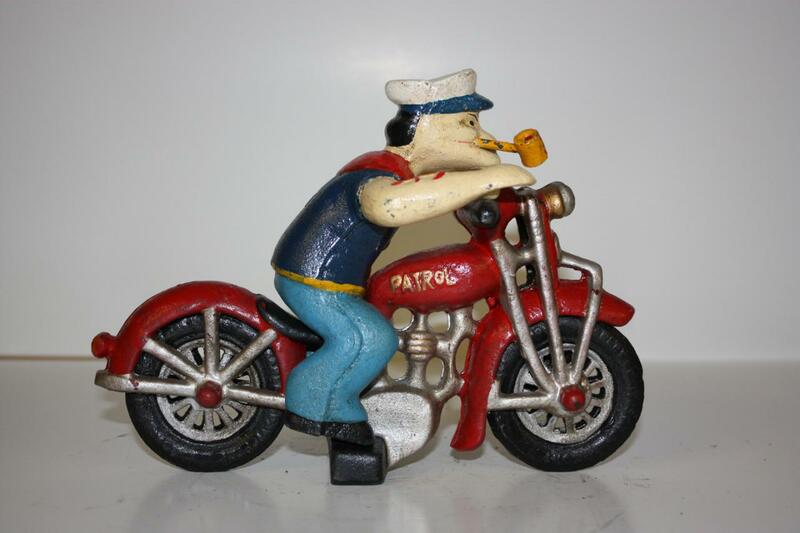 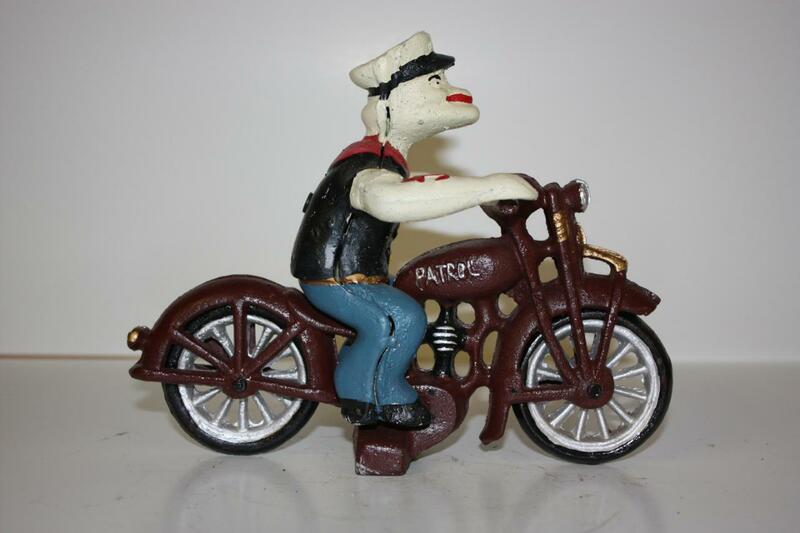 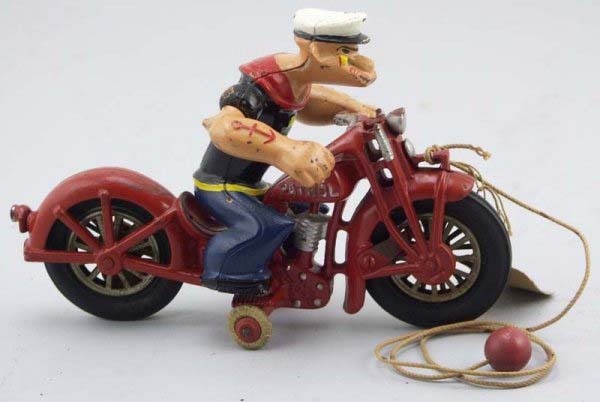 Il existe plusieurs copies de ce jouet plus ou moins réussies..
Popeye conduit aussi un servicar (assez rare). 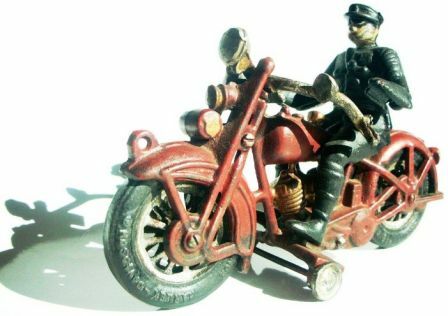 LE BIKER (pas très courant) ..
Très rare en version blindée ..
LES PETITS MODELES .. (pilotes non démontables). 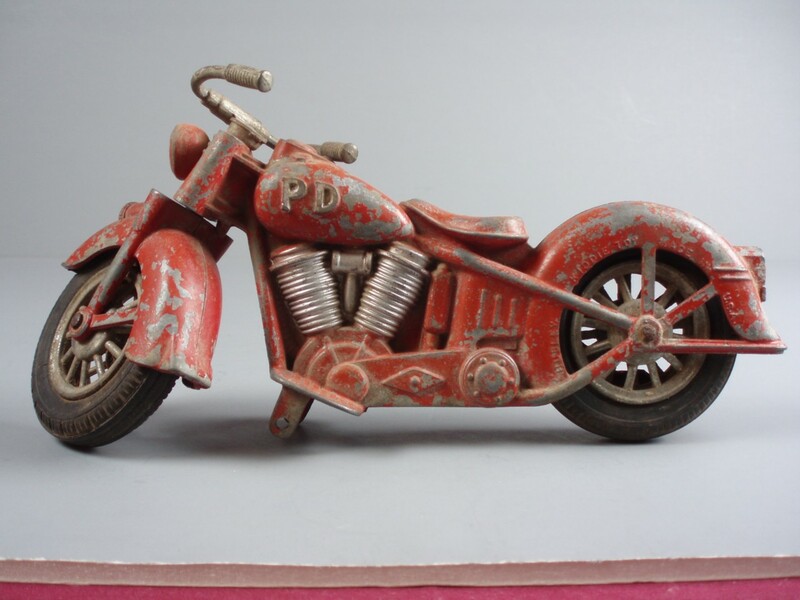 Sur la suivante, l'inscription "CRASH CAR" est devenue "HARLEY DAVIDSON"..